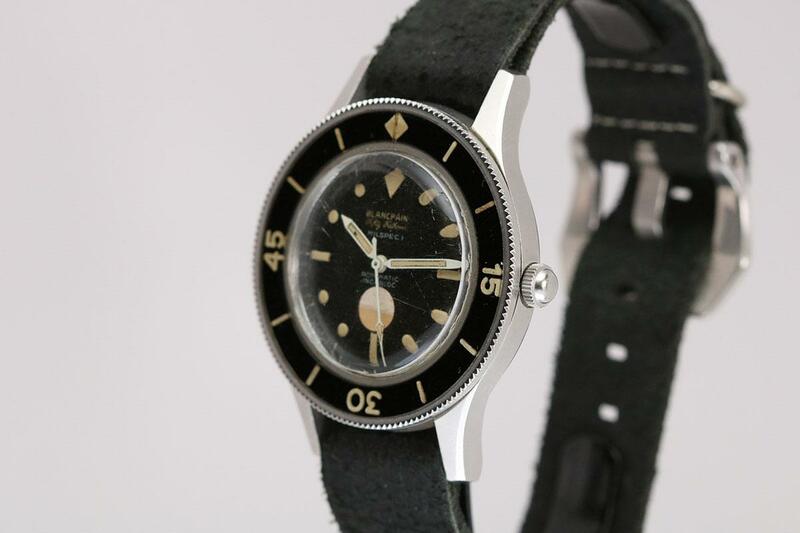 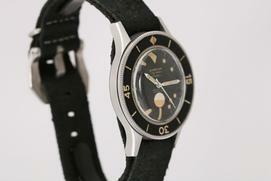 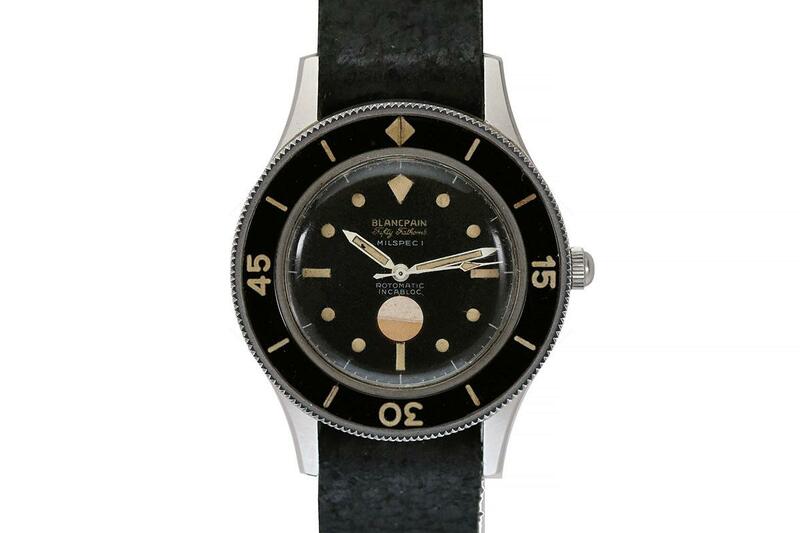 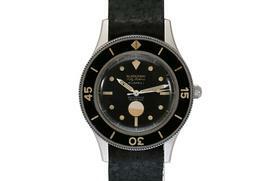 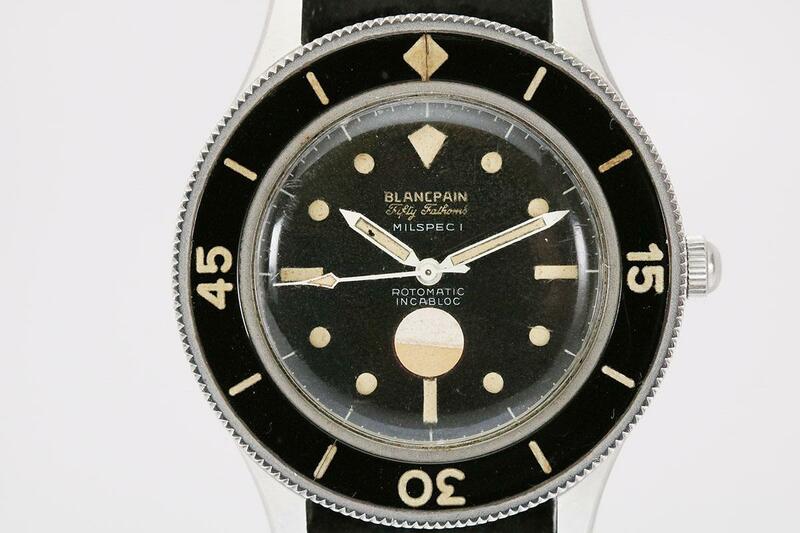 This is an original Blancpain Fifty Fathoms Milspec dive watch from the 1950s. 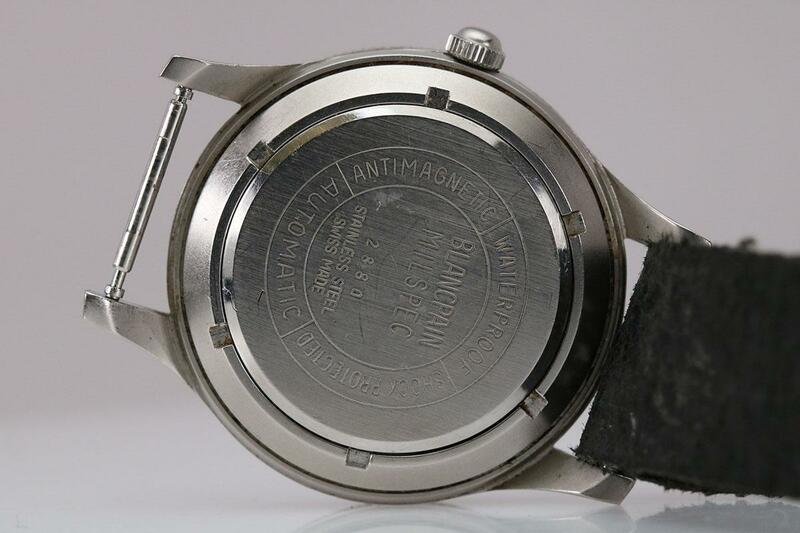 This is a very unusual watch made with military specifications. 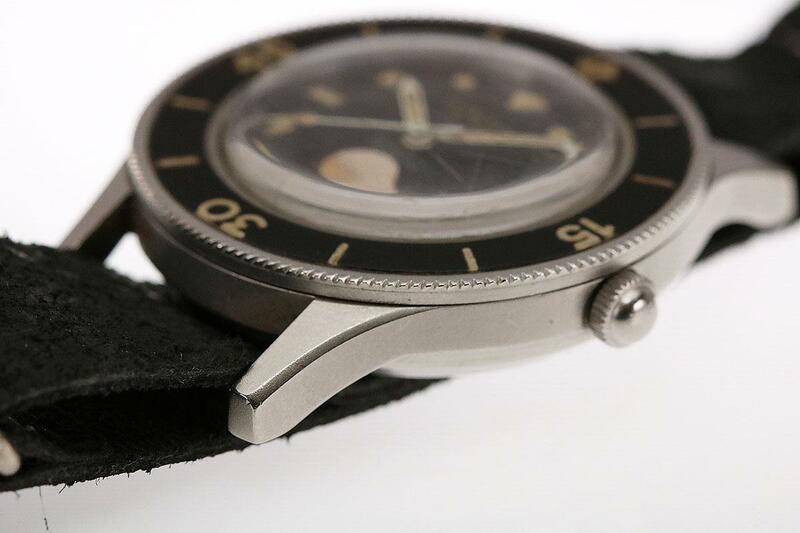 It has an original dial with a moisture indicator located above the 6 position. 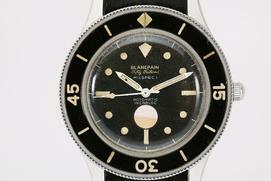 This watch is highly collectible and has a great aesthetic with beautiful dial and wide acrylic rotating bezel.